Charity here from Scrappin' Chaos with a remarkable Christmas card that that is all about layers and vibrant watercolors. 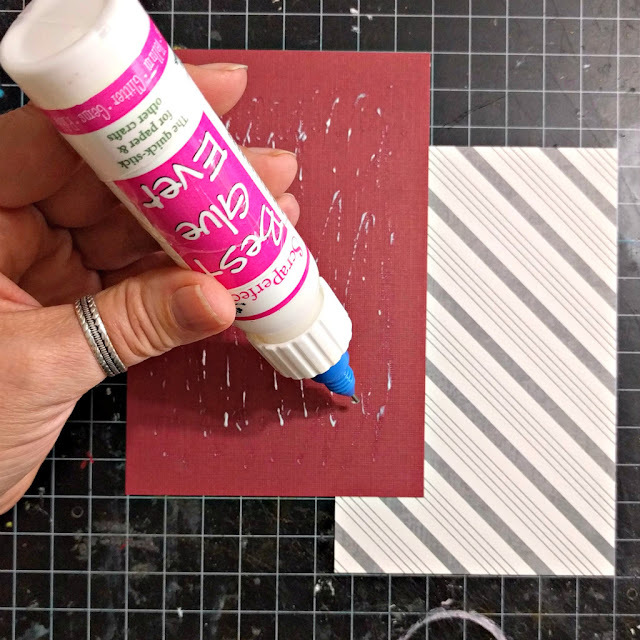 Textured cardstock with punched corners is layered with foiled and striped papers. 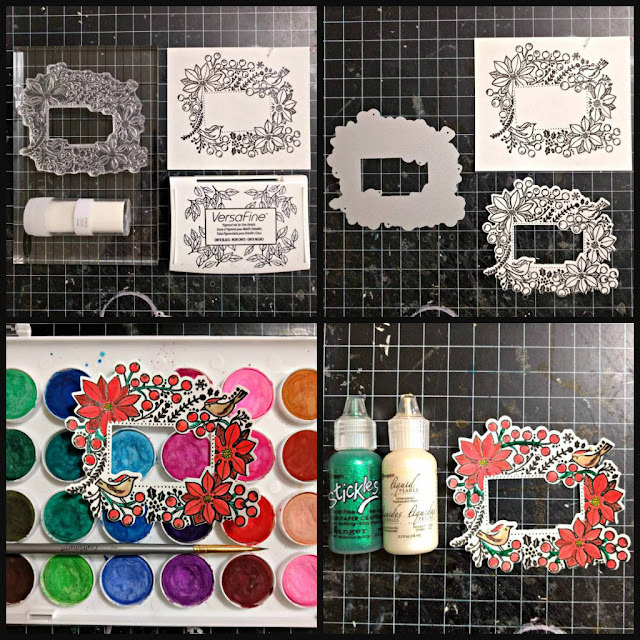 The poinsettia wreath, painted in deep reds and accented with glitter glue, frames the sentiment. 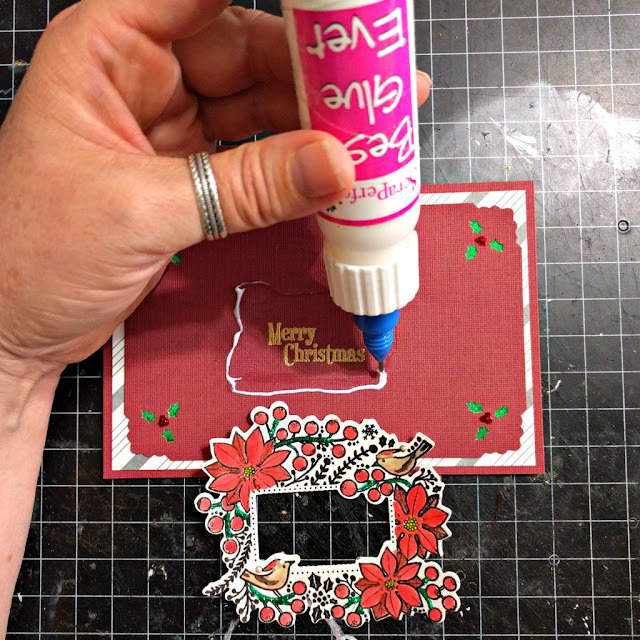 The first step with this card is to emboss, die-cut, and paint the wreath. Watercolors dry quickly, but the glitter glue accents will need to sit much longer. The center piece of cardstock is 3.25 x 5.25". 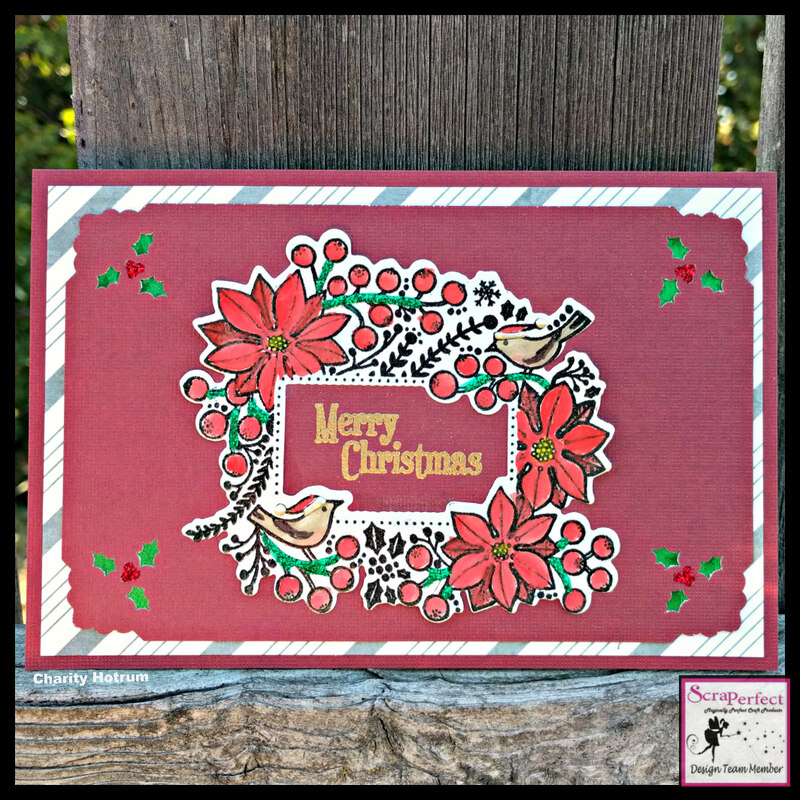 The corners are detailed with a holly punch and the sentiment is placed at the center. 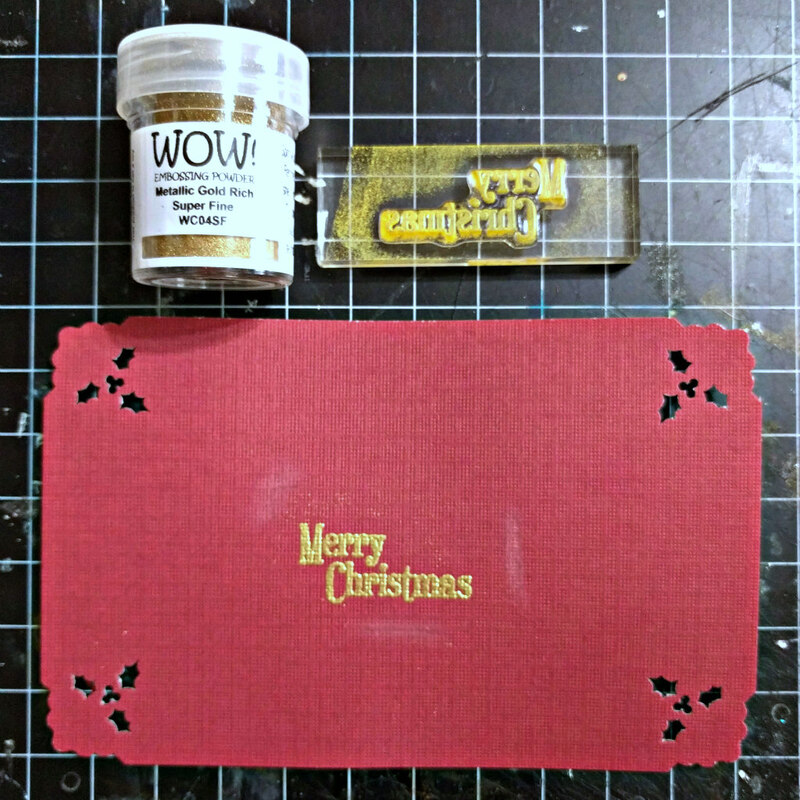 Gold pigment ink is layered with gold embossing powder and then heat embossed. A rectangle of emerald green foiled paper lines the back of the center piece. Best Glue Ever holds the foil secure. 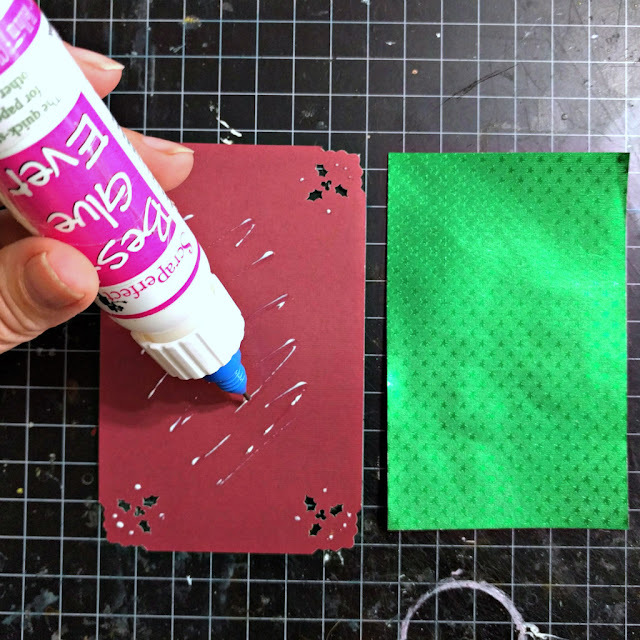 The center of the holly punches are decorated with red glitter glue. 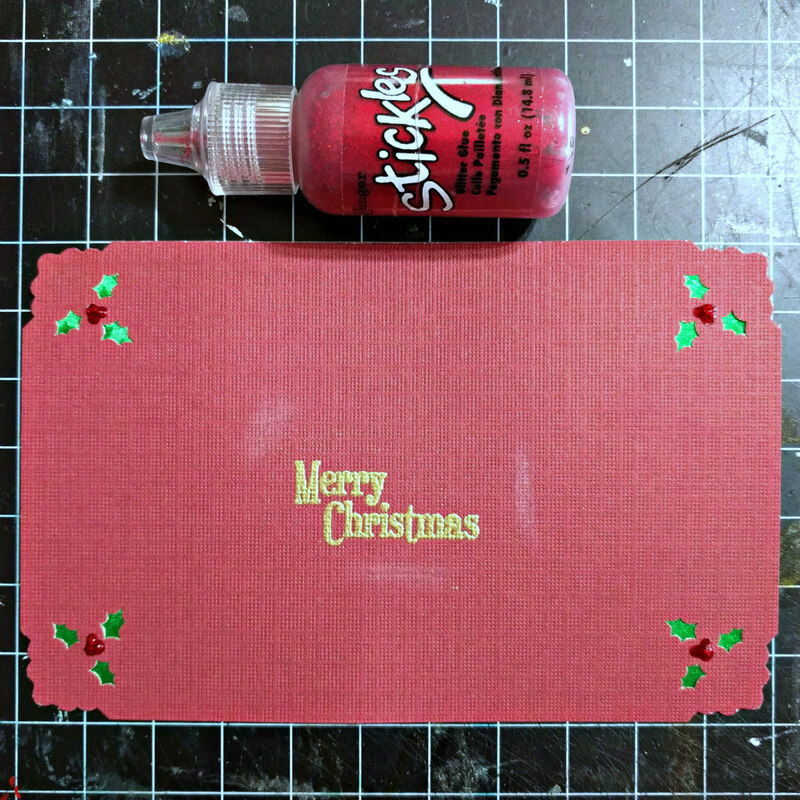 The card base is 4 x 6" topped with a 3.75 x 5.75" rectangle of striped cardstock. Best Glue Ever holds these pieces together without a wrinkle. The top piece is added with scant amounts of super strong Best Glue Ever. When all is secure and dry, a thin ring of Best Glue Ever holds down the wreath. 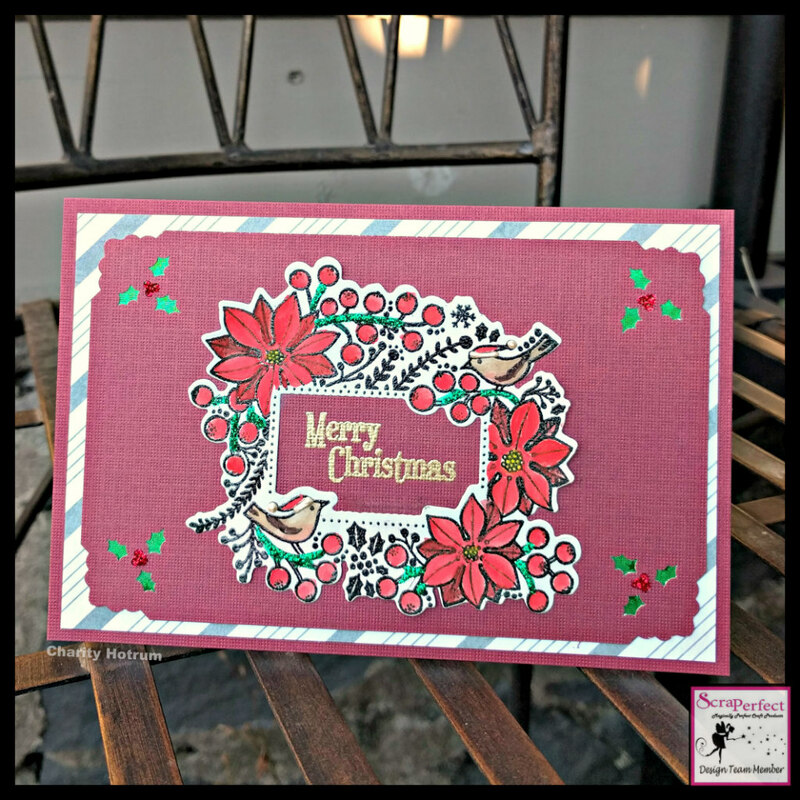 The layers give this card a luxurious look and give Best Glue Ever a chance to really shine as it holds everything together. 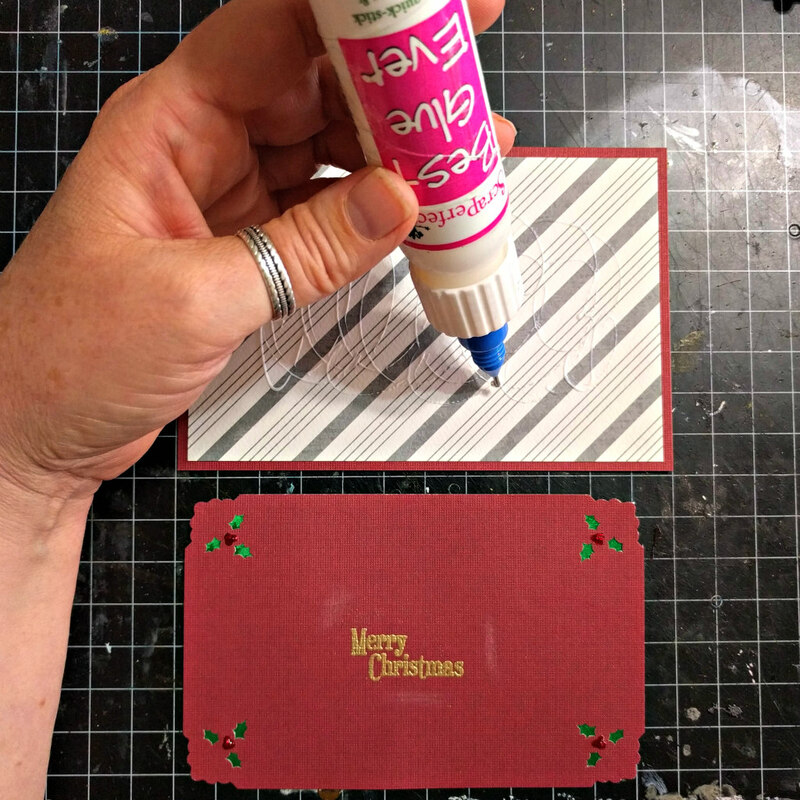 Stop by the ScraPerfect online store and buy yourself a couple bottles for your Christmas Card crafting.